Always record your mistakes.There are a few good reasons, but the primary one for me is that it might keep me from making the same one again. If I only make each mistake once, then I think I can make it to the end of my flying career without hurting anyone or getting hurt. (There’s also the chance someone else can learn from one of my mistakes which one be awesome. If I can save them from making one, we’ll all be flying a little safer. I think there’s an old saw about, “Learn from other people’s mistakes, you don’t have time to make them all yourself.”) Mistakes are also when I make new rules for my piloting habits, like the Three New Rules for Landing at Night. I now have over four hundred hours in N972RD. I am just starting to get comfortable enough to do a short approach or short field takeoff. If The Killing Zone applies to each aircraft type separately, or even to each aircraft separately, I have now escaped it flying the DA42. When I am switched over to the tower or the CTAF frequency I listen to confirm what will be happening. So I may hear an airplane ahead of me: “Caldwell tower, Angel Flight one nine seven six I inbound with bravo, nine miles north descending through two thousand nine hundred.” And the tower responds, “Angel Flight seven six, make right traffic runway four.” I am still ten miles behind that Cessna that called in, so I look at the runway diagram for the airport. So I call in to the tower, tell them who I am, where I am, that I have the latest weather information for the airport and I’d like to land. 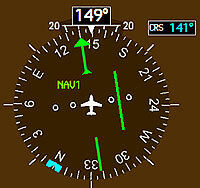 The tower tells me to enter a right downwind for runway four, which I am already lined up to do. The airport is busy, which always keeps me on my toes a little more. Coming in to land is when I am paying sharp attention anyway, but it means I’m sort of spring-loaded to act. Sure enough, when I am still two miles from the upwind end of runway four I hear the departing turbine plane say there’s a drone at 700 feet a little south of the upwind. So I start looking as well, since my downwind path will take me on the other side of that drone. Just as I am entering the upper right corner of that diagram, the tower says, “Two Romeo Delta, can you accept runway two eight for landing?” I don’t think about the number, I just say, “Affirmative” as I put the plane into a tight right bank, dropping the nose, adding more flaps to slow us down so that I can land on the opposite end of runway 4. I scoot by an airborne object that looks a lot more like a group of party balloons than a drone. Nell asked, “Why did he want you to change runways all of a sudden?” I said I wasn’t sure, but that I am always happy to help. “Well, at least you got to do that cool turn.” I agree and tell the tower that the drone looks like balloons to me. I pull the nose up, I’ve chopped the power, and we cross the fence just at the right speed, wheels down and we’re off the runway. As we taxi along papa, I see a Pilatus PC-12 land on runway 4 and pull off onto a taxiway to feed in behind me. Ground says the tower would like to talk about the drone object if I could give the tower a call. But I have now added to my briefing as I approach the airport. I know which runway I am landing on, but I will actually look at and say the name of all of the runways. That way I would have said, “I’m landing runway 4, the other end of it is two two. 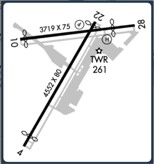 There is also runway two eight and runway one zero.” That would have made it much harder to make the mistake. Fewer mistakes. The constant goal. Did the Tower also talk to you about the drone, or did Ground flat out bait-and-switch you? That seemed like a bit of sucker punch to me. I can only imagine how it felt to receive the news from Tower that you’d landed on the wrong runway. I know that I felt a chill spread through the pit of my stomach just reading your account and I wasn’t even there. I could not help but flash back to my experience this summer when I lined up on the wrong runway at Burlington. Fortunately for me, Tower noticed well before I entered the pattern and simply changed my landing clearance. As you noted, I’m surprised that they didn’t check with you when you lined up on 22. I’m grateful when checks-and-balances work, but this example is one of many out there demonstrating that we cannot depend on them. Welcome to New Jersey, Colin! It wasn’t a bait and switch, they definitely wanted to hear more about the balloon object. I’ve been told by people based at the field that KCDW seems to be a lot of trainee controllers. That certainly seemed to be the case here, but I was the one that landed on the wrong runway.